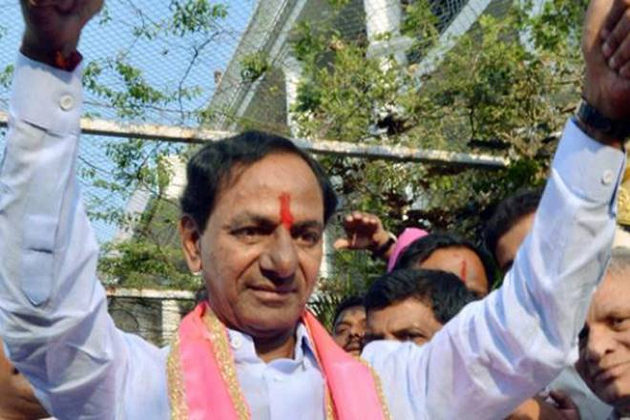 ﻿ KCR Spent Just Rs 7 Lakh To Win From Gajwel? Who spent how much to win the just concluded elections in Telangana? If you glean through the affidavits of expenditure submitted by various candidates, you would be in for a major shock. KCR, who won a hard fought battle at Gajwel, spent money like it's water.But, the expenditure report submitted to the election commission shows that KCR just spent just 6.53 crore. Shocking? Wait, there are more shocks for you. Congress leader Revanth Reddy, who fought the toughest battle of his life, spent just 7.4 lakh. Know how much KTR spent? Everyone knows liquor flowed like water in Sircilla and huge amounts of money. But, the report he submitted to the EC says he spent just 7.53 lakh. Those who watched the elections say that KTR spent at least ten times more that amount every day of his campaign. The unofficial accounts say that in the just concluded elections, every candidate spent anywhere between Rs 10 crore and Rs 15 crore to fight the elections. Some candidates have gone as far as Rs 50 crore to win the elections. These are all open secrets, but if you look at their reports to EC, you might as well faint with shock.